building new businesses and running country operations while driving growth in the Americas,Africa, Middle East and Asia Pacific. She is also recognized in the industry and has won awards for driving innovation and leading digital transformation. With Daimler, she currently is the Managing Director for the Mercedes-Benz Financial Services and Fleet Management business in Singapore. She has recently won the “Woman Super Achiever” award from the World HR Congress. Previously she led digital transformation initiatives Daimler Financial Services as the Chief Digital Officer for Africa, Asia and Australia. Anamika has also been awarded the recognition of being one of the “Most Influential Global Digital Marketing Leaders” by the World Marketing Congress & CMO Asia. 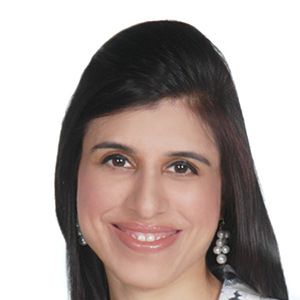 Anamika helped set up Sales & Marketing operations of new Daimler businesses in Asia and Middle East. The Asia Pacific region saw record growth in the four years she led Sales & Marketing for the region. Her journey at Daimler began in the US where she held senior leadership roles in Strategy and Business Development and Insurance for the Americas region. Prior to joining Daimler, Anamika spent five years at Booz & Co. working on strategy consulting projects across different industries. Anamika has a Bachelor of Technology in Electrical Engineering from the Indian Institute of Technology, Bombay and an MBA from Carnegie Melon University, where she ranked #1 in her class and received multiple awards for outstanding academic achievement.